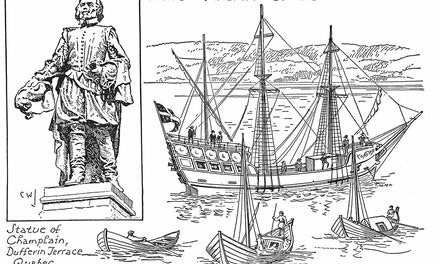 The picture, which is redrawn from the engraving in Champlain's works, is intended to show the position of the Habitation and to give some idea of the materials and the methods used in its construction. Its peculiar perspective makes it difficult to determine its exact shape; but it was probably a four-sided enclosure and its buildings were of wood. 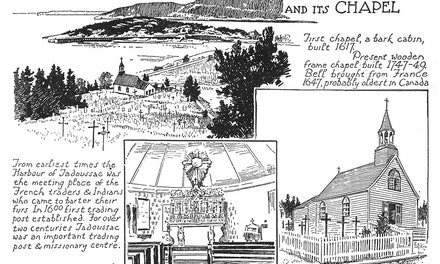 It was erected on the waterfront near the foot of the present Mountain Street. 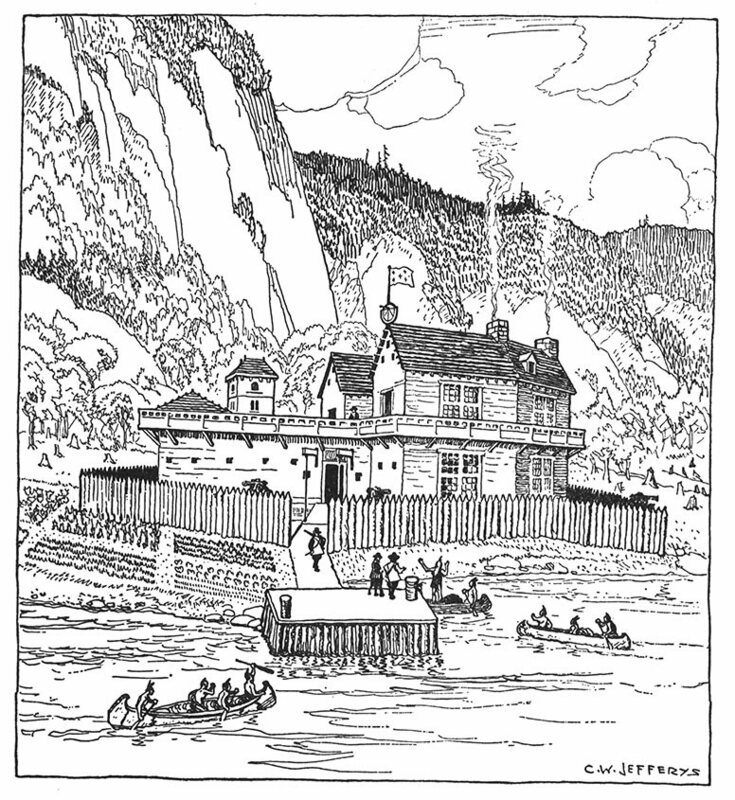 In 1620 Champlain constructed a fort on the summit of the cliff, where the buildings forming the Chateau St. Louis were erected from time to time in the neighbourhood of the Chateau Frontenac of today. Views of these later structures are shown on pages farther on in the book.